In Indian-controlled Kashmir, where violence has come in grim cycles for more than two decades, people know what to expect when tempers rise. Furious young men hurl rocks and shout for an end to Indian rule. The violent crackdown comes swiftly, as Indian paramilitary soldiers pour into the streets. Then the shooting starts, the hospitals grow crowded and the siege begins. The most recent spate of violence has been the worst in years, killing some 50 people since July 8. It started last month after Indian soldiers killed Burhan Wani, a charismatic 22-year-old rebel who attracted a following in large part by using the tools of his age — social media. In the wake of Wani's death, Srinagar, the largest city in the Indian state of Jammu and Kashmir, has become a ghost town. Separatists have enforced general strikes to shut down the city and called for mass protests in the streets. 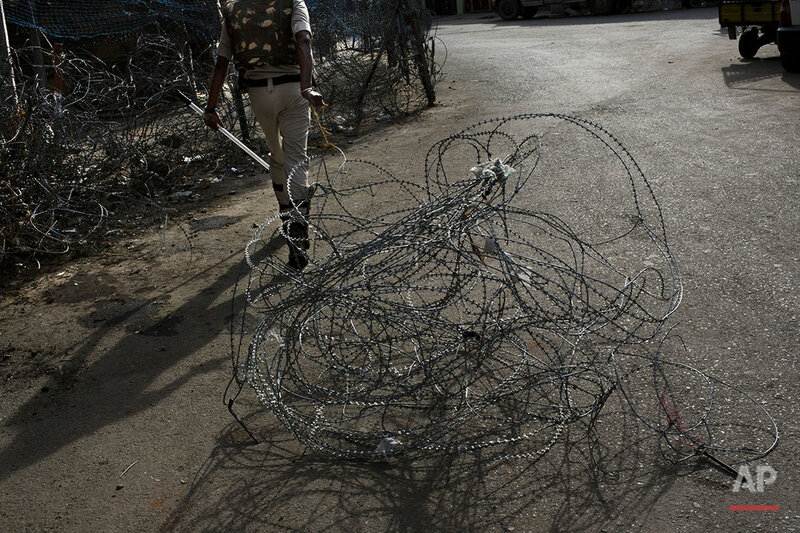 Indian authorities have responded by imposing curfews and deploying throngs of soldiers. This is what Kashmir looks like when it's under siege. During general strikes, Kashmiri separatists insist that all businesses, except those selling necessities, stay closed as a sign of solidarity. Shops that defy the strike often face retaliation. In Srinagar, residents rush to buy bread and vegetables early in the morning, before Indian forces deploy for the day-long curfew. 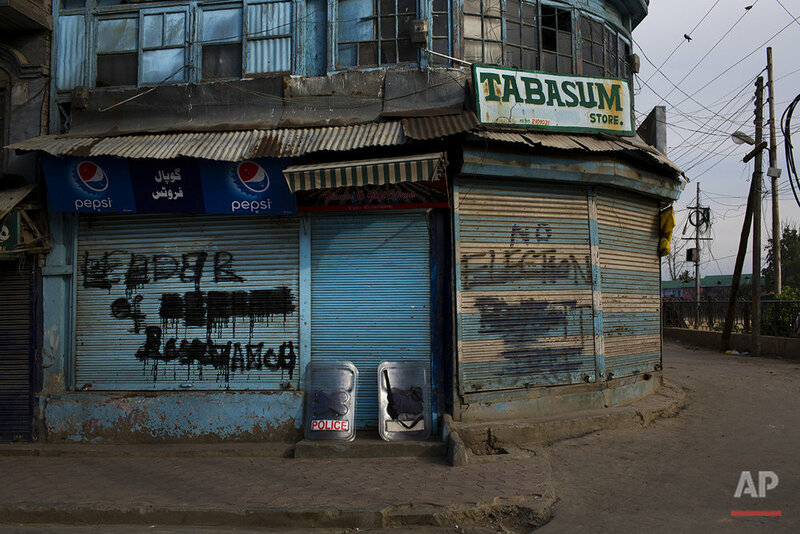 Known for its vitality, Srinagar is now empty streets, shuttered stores and barbed wire. Social gatherings wait until evening, unless separatists call for a blackout. In that case, everyone will have to turn off the lights. In any global conflict, flags are important signals of political support. The green Islamic flags that crown the buildings of Srinagar are a reminder that Islam has been rooted here since the 14th century, when a Sufi missionary known as Bulbul Shah arrived in the valley. Kashmir, a predominantly Muslim region, is divided between India and Pakistan, but both countries claim it in its entirety. The rivals have fought two wars over control of Kashmir since independence from Britain in 1947. Pakistan flags and local militias' flags are hoisted and waved on the streets. Indian flags flutter on government buildings and military camps. "Azadi," a Kashmiri word for freedom, and "India go home!" are longtime slogans. People shout them during street protests and spray paint them on walls, although Indian authorities often paint over them. Now, "Burhan is our hero" is seen scrawled on walls in Srinagar, along with curses against Indian rule. Rocks and rusted dumpsters serve as barricades in the middle of streets. If the unrest is prolonged, protesters allow an empty lane on one side so cars and pedestrians can pass. Those who live near the most violent areas use blankets to cover their windows to protect the few unbroken panes and prevent projectiles from flying inside. Maisuma, a neighborhood in Srinagar's business hub, is sometimes referred to as Gaza, after the beleaguered Palestinian city. Its residents — men and women, old and young — often protest. Srinagar is the summer capital of the region, and Dal Lake is its heart. This is where Indian sitar maestro Ravi Shankar taught George Harrison of the Beatles. In many ways, the lake offers a barometer for the political situation in Kashmir. 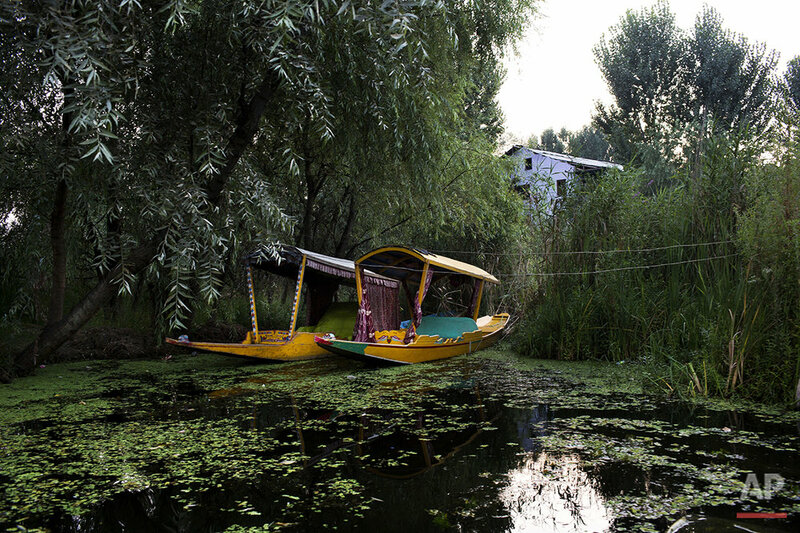 If the wooden gondolas known as shikaras are not out on the water, and if music isn't floating from the houseboats that serve as hotels and restaurants, then it probably means yet another cycle of violence has come to Kashmir. These days, most of the boats are docked, and the waters are silent. 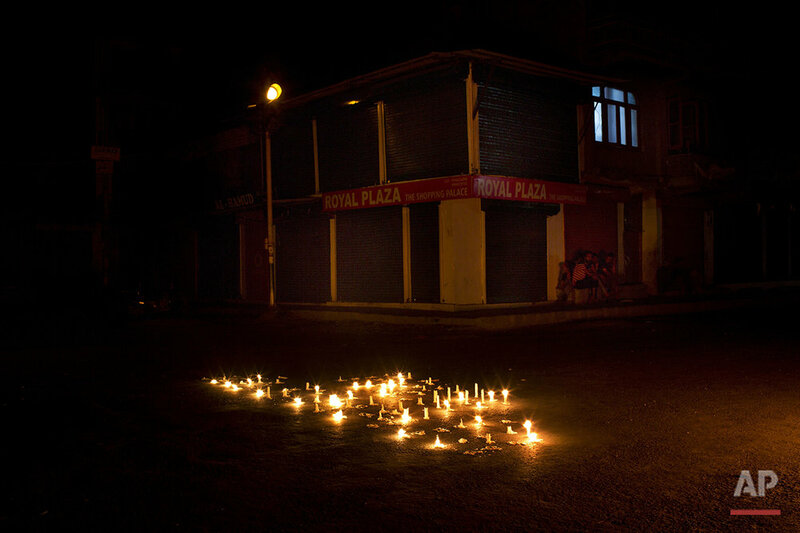 Text from the AP news story, AP PHOTOS: Scenes From a City Under Siege in Indian-Controlled Kashmir, by Bernat Armangue.